The Society for Phenomenology and Media: 17th Annual International Conference in La Jolla, California. 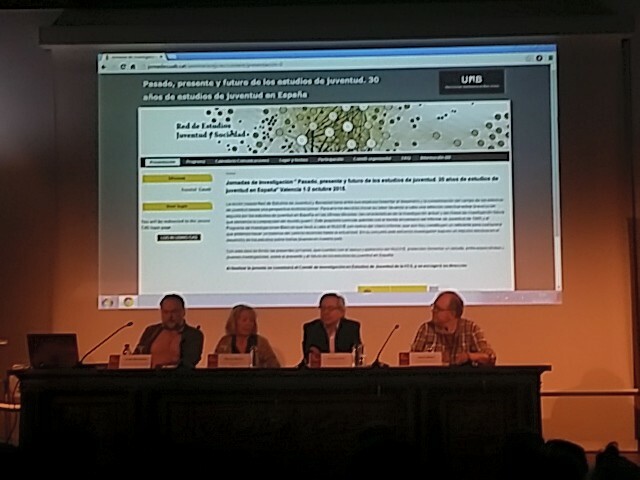 Jordi Lopéz-Sintas, Ercilia García-Álvarez, Ana-Gabriela Hernández-López (2015). An emotional roller coaster: A phenomenological study of the magic of film. 17th Annual International Conference in San Diego, California, March 25-29, 2015. Lordan, L; Florido, J.; Sallan, J.M. ; Simo, P.; Fernandez, V.; Gonzalez- Prieto, D. (2014). Study of the robustness of the European air routes network. LISS 2014 (4th International Conference on Logistics, Infor- matics and Service Science).University of California (Berkeley, USA) 23.07.2014-25.07.2014 Texto completo (papel). Konstantina Zerva, Peter Nijkamp, Karima Kourtit (2014). Tourists as Voyeurists: The Role of Perception and Information in the Behaviour of Visitors to Amsterdam. ERSA Congress, Regional Development and Globalization, Best practices. Sant Petersburgo (RUS) 2014. Cuadrado M.; Filimon N.; Kerrigan F.; Montoro J. Movie theatres and barriers of attendance: an exploratory study of the Spanish cinemagoers’ segments, Bigné E. (ed.). European Marketing Academy,43rd Annual Conference: ‘Paradigm Shifts & Interactions’. Conference Proceedings, Universidad de Valencia. Valencia (ESP): Grupo Diario Imprenta, S.L., 2014.